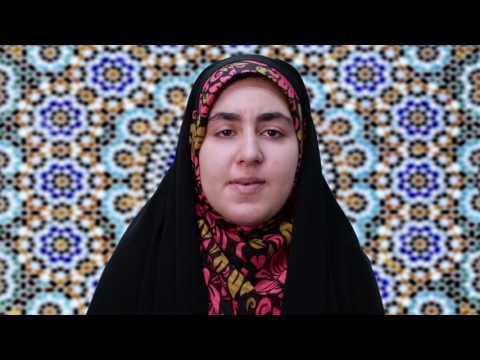 Muslim Converts – Welcome to Islam! Welcome back to the Muslim Converts Channel! So now you’re a Muslim. Welcome to Islam! Converting to Islam is not a new thing. Many people convert to Islam. However, not many people, including people who were born into the religion, are aware of the implications of being a Muslim aside some basic beliefs and some ritual actions. Our curriculum is full of lessons covering the basics of Islam, its creed and dos and don’ts. So as you can guess, our goal here isn’t to rehash all of that. You can simply browse and learn on your own at this point. What we do want to do though is go over some of the things you’ve achieved as a new Muslim as well as the challenges that you will face as a Muslim. From our own experience, we’ve seen that the challenges usually revolve around personal and social struggles rather than issues with Islamic creed. Now that you’re a Muslim, it’s likely that your going to be part of some Muslim community. If not, then you’re still going to be part of a human community. Whether you’re with Muslims or non-Muslims, as a believing and practicing Muslim, you will inevitably become a representative of Islam. Your knowledge, and more importantly, the way you behave with others is going to reflect on people’s reflections about Islam. As a Muslim among other non-Muslims, your actions are going to be noticed more. People will see that you don’t eat and drink the things you did before, they’ll notice that you go off to prayers and on special days, you fast. It’s likely that they will see physical changes in you as well. You might start growing a beard if you’re a man (which is obligatory for males in Islam) or you might start wearing the hijab (which is also obligatory for women in Islam). As people will see you as a Muslim, you need to be extra careful in how you carry yourself and respond to others. Physically speaking, the Prophet Muhammad (s) recommended that Muslims be clean, neat, well dressed and smell good. In terms of our attitudes, we need to be extra careful in how we conduct ourselves. For example, if someone insults you, it is important that you don’t insult them back. Instead, the Messenger of Allah (s) recommended that we respond in kindness and compassion. In other words, he recommended that we take pity on them and give polite responses and set aside any form of animosity. Even the worst of people will take notice of this kind of good behavior. As a new Muslim, all of your past sins are forgiven. Yet being a Muslim also brings about its own set of difficulties, especially when it comes to our interactions with others. If you go to most centers, you’ll notice that most Muslims tend to come from select ethnic backgrounds. The majority of these groups tend to be South Asians, Arabs or Iranians. These groups don’t only treat Islamic centers as religious centers, but treat them as cultural centers as well. Many converts who come to these centers are often outside of these cultural spheres so it’s natural that they feel a bit left out. In some centers, people are welcoming but in others, they are not always welcoming, especially when they see people who are not part of familiar cultural backgrounds. Many communities are quick to accept newcomers, but others may take time. The key here is to show great patience and to make oneself familiar to the community. During this time, talk to people and make friends. Over time you will be accepted and feel comfortable. Not all centers are English friendly, but English friendly centers are growing, especially in the United States. If you can, make sure to visit Islamic centers that have English programs. Despair is a common symptom for all human beings, not just converts to Islam. In the case of converts, despair usually comes for many reasons. They include, among other things, difficulties in getting the right answers to tough questions, difficulties in finding a spouse or the extent of time it takes to make new friends who share your faith. There are no easy solutions for these problems, but there are ways to manage them. As a convert, remember that the internet is your best friend. The internet is filled with books from competent Muslim scholars. Here you can refer to Islamiclibrary.com where thousands of books exist where you can find all sorts of answers to burning questions. If that doesn’t work, remember that our website also connects you with scholars. Although it is your best friend, you should always be careful as there is bad material out there as well. Make sure to go to legitimate websites and read stuff that's written by credible authors. The internet is also a place for many converts to find spouses. There are many Muslim matrimonial sites that are there to help. The internet again is a good place to make new friends who share your interests. Social media is one, but so are posting and chat forums which again, we offer over here on our site! Remember that Allah created a world where there is always a way out for our despair. The key is to keep our eyes open, minds open, be patient. I know that words are worth a dime a dozen, but this is something to think about. If you see that your despair is not ending, try talking to an Islamic counselor at your local Islamic center or an experienced and trustable Muslim who can guide you through this time of darkness. Yes, you will come across Muslims who give Islam a bad name. You will see this on the media, on social media, or in person at work or at an Islamic center. Personal experiences like these can be discouraging, but they are only discouraging if our knowledge of Islam is limited. Make sure to learn about Islam, the Prophet (s) and his Ahl al-Bayt (as). Learn to judge Islam based on its own merits and not by its followers. Remember that the Devil worshipped God for over 6000 years yet with one test he deviated. What do you expect of regular Muslims who have only been around for a few years? Don’t judge Islam by its followers, even if some of them are clerics, judge it by its own merits and people will not discourage you! So now you’re a Muslim. Welcome to Islam! Converting to Islam is not a new thing. Many people convert to Islam. However, not many people, including people who were born into the religion, are aware of the implications of being a Muslim aside some basic beliefs and some ritual actions. Our curriculum is full of lessons covering the basics of Islam, its creed, and dos and don’ts. So as you can guess, our goal here isn’t to rehash all of that as you can simply browse and learn on your own at this point. What we do want to do though is go over some of things you’ve achieved as a new Muslim as well as the challenges that you will face as a Muslim. In terms of what you have achieved, remember that now you are an ambassador to Islam. That is, you are a representative of the religion. So in this sense, you need to be careful in how you conduct yourself as a Muslim as now people will pay more attention to you. That’s the easy part. Being a Muslim will also present itself with new challenges. From our own experience, we’ve seen that the challenges usually revolve around personal and social struggles rather than issues with Islamic creed. Make sure to tune into the full lesson to learn how to deal with these challenges. As a new convert, I can’t find someone to marry, what can I do? Online matrimonial sites are good places to start with if centers are not working for you. If I can’t judge Islam by its followers, what should I judge it upon? The merits of Islam come from the Prophet (s) and his Ahl al-Bayt (as), not regular followers. As a new Muslim, what happens to my past sins?